How to return cell value every five or nth row in Excel? In a worksheet, how could you return and list the values from every five or nth cell as following screenshot shown, to copy them one by one will waste lots of time. 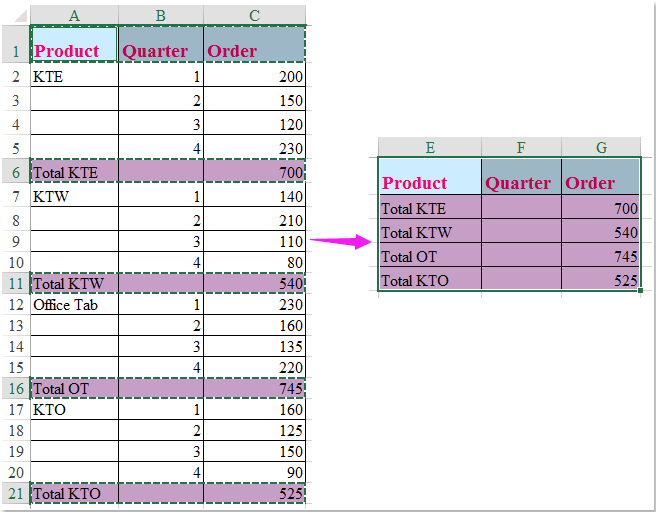 This article, I will introduce some quick tricks for solving this problem in Excel. 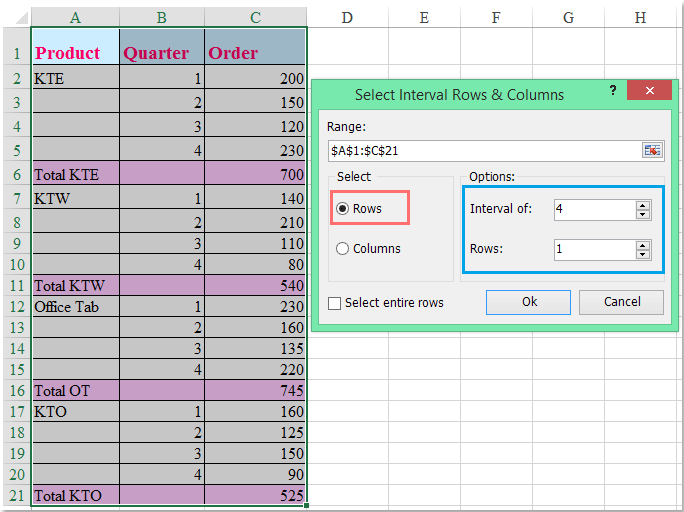 Note: In above formula, C1 is the begin cell of the column that you want to extract every nth value, the number 5 is the interval number, you can change them to your need. 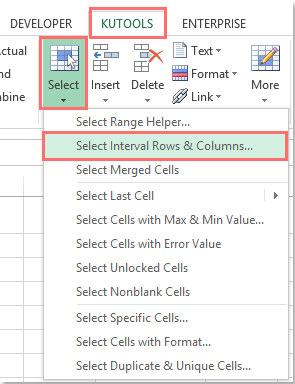 If you have Kutools for Excel, with its Select Interval Rows & Columns utility, you can quickly select every nth cell, row or column as you need, and then copy and pasted them to anywhere you need. 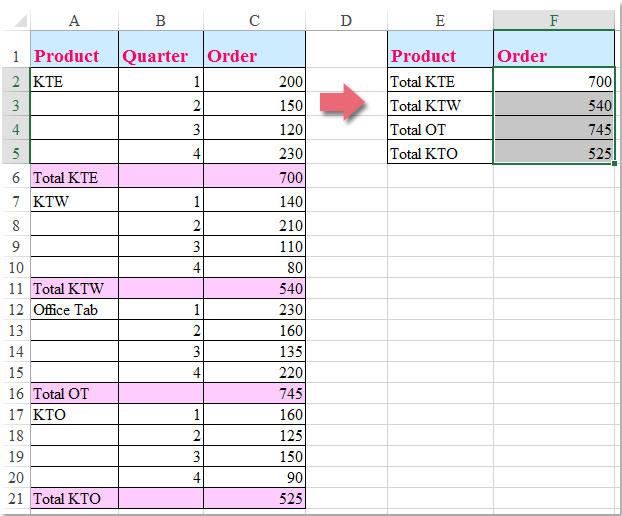 Download and free trial Kutools for Excel Now !